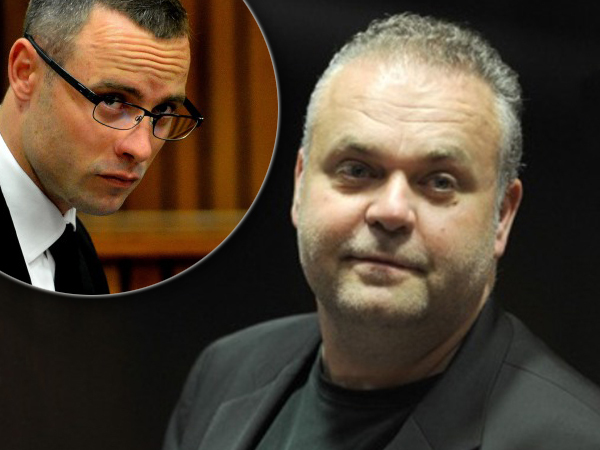 Czech fugitive Radovan Krejcir and paralympian Oscar Pistorius have trained together at the Kgosi Mampuru Prison in Pretoria. In a letter of complaint, Krejcir wrote that he made a request in July for a bicycle and treadmill so he could exercise, and the request was approved. The equipment was installed in the passage next to his cell at the prison. "My equipment was offered to Mr Oscar Pistorius, to train on, on his arrival at this facility... without my knowledge," Krejcir wrote in the letter, of which Sapa has a copy. "I did not object to Mr Pistorius utilising my equipment after he arrived at this facility and in fact Mr Pistorius and I started training together." However, on Sunday the equipment was moved to the visiting area and then again to a single cell on the ground floor of the prison, he said. There was no space in Krejcir's single cell for the equipment. "I have been deprived of my training since the 9th of November 2014 as a result of this unfounded and unexplainable change, which I submit has been directed directly at me, in just another form of mental and emotional torture," Krejcir said. The Czech businessman addressed the letter to the prison's management, and forwarded it to Correctional Services Minister Michael Masutha, national correctional services commissioner Zach Modise, Public Protector Thuli Madonsela, Amnesty International SA and the Human Rights Commission of SA among others. He also complained about the removal of his television set following media reports that he had access to DSTV. At the time, correctional services denied that he had DSTV. Krejcir complained that his memory sticks, containing entertainment and news with subtitles in his mother tongue, reading material and trial notes had been removed. "I was informed today [Thursday] that my memory sticks will be confiscated and not handed back to me," he said. He also bemoaned the fact that he was no longer allowed to interact with other inmates, as he had been since his arrival at the prison. He said reasons given to him were health risks, because some inmates had tuberculosis or chicken pox. "I experience these actions as a personal attack directed to me and believe this to be an infringement on my human and constitutional rights, not to mention that these actions are unfounded, unfair and psychological and emotional torture," he wrote. "This complaint should not be construed as an attitude of disrespect and or aimed as a personal attack on the members of this facility, however, I trust that you would appreciate the inhumane manner in which I am treated." The prison's area commissioner Zebulon Monama declined to comment.